Successfully Added Wireless Sport Earbuds Headset Bluetooth HIFI In-Ear Stereo Headphones to your Shopping Cart. High-quality chip for stereo sound and bass sound, bring you unique auditory experience. Voice dialing with superior microphone quality, ideal for car call, or working use. Advanced Bluetooth V4.2+EDR for easy connection of Bluetooth devices. Excellent noise cancellation technology with CVC depth noise reduction. 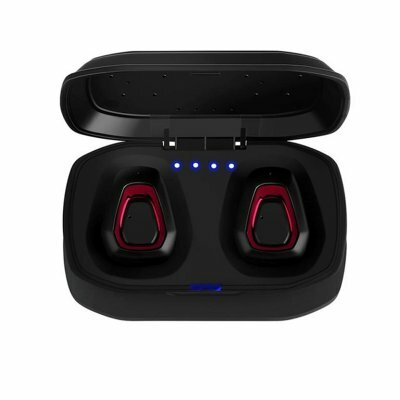 Built-in 300mAh battery box can charge 2 wireless earbuds 3 times without cable.